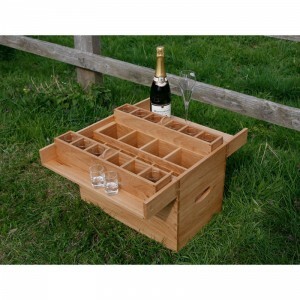 Commission: Portable drinks box with removable trays, for shooting parties, outdoor pursuits etc. 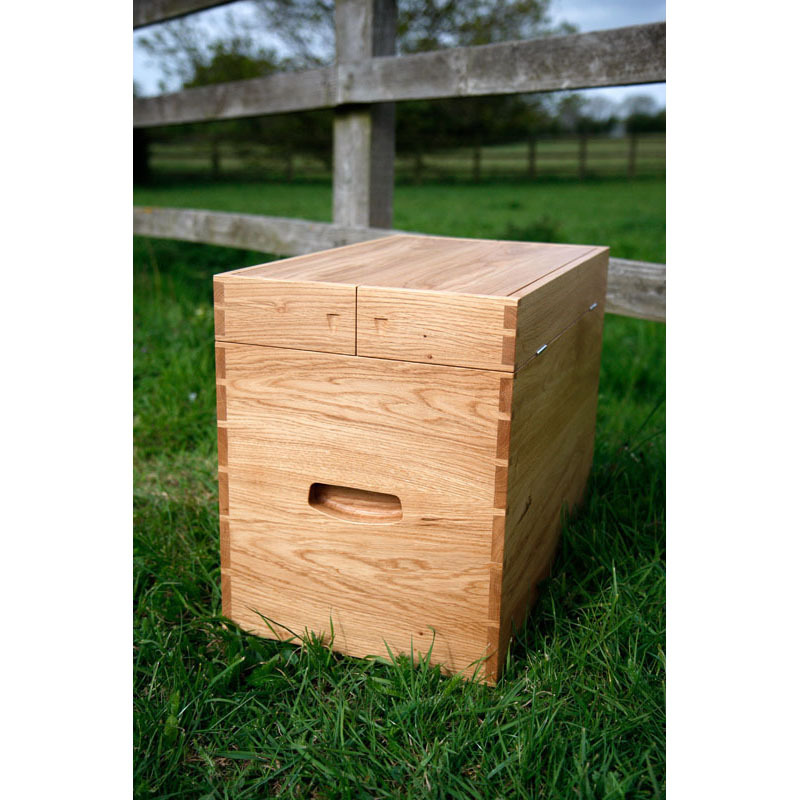 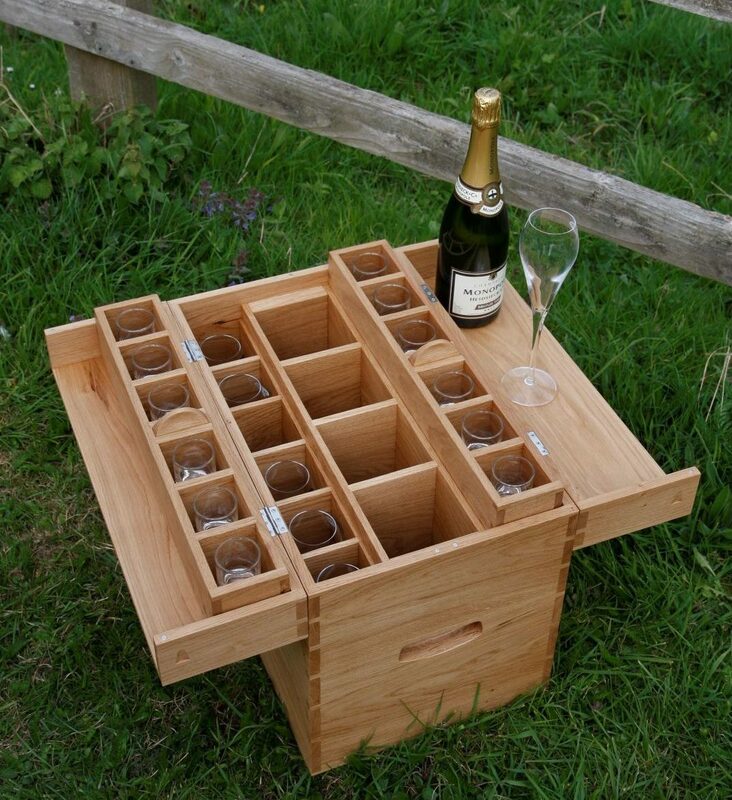 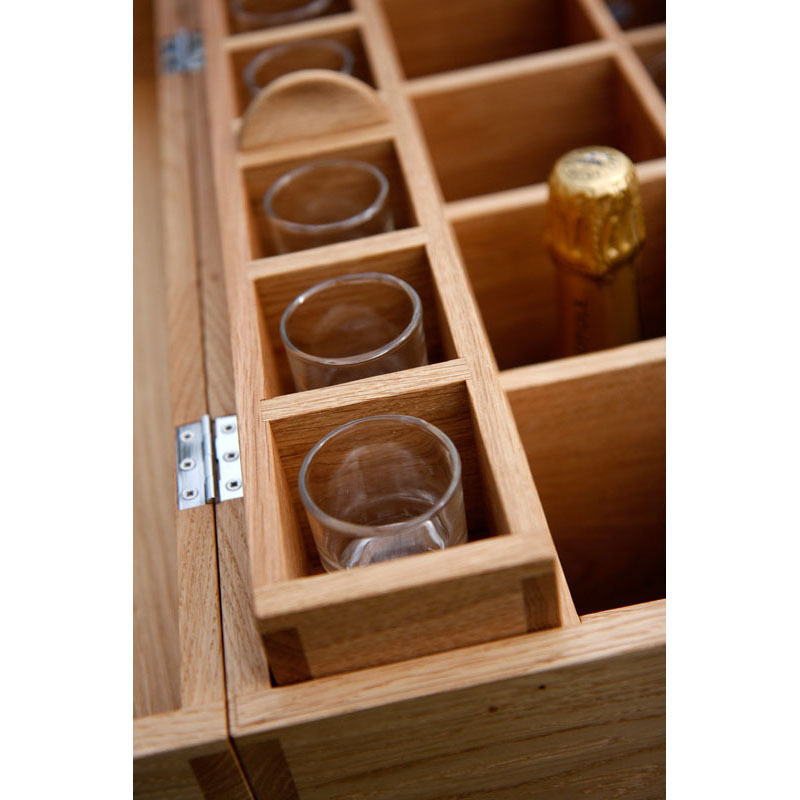 Description: Our client commissioned us to design and build a portable drinks box with removable trays, made in solid European Oak with a hard-wearing oiled finish. 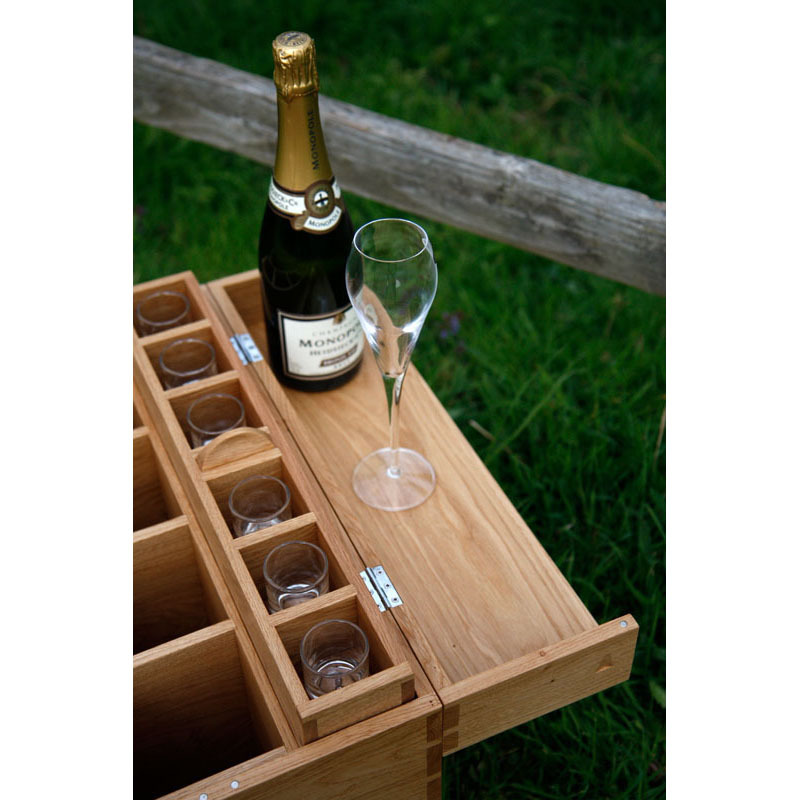 This box is to be used to ‘refresh’ shooting parties, so needed to be robust and up to the rigours of outdoor use. 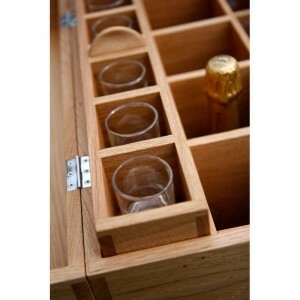 It was to hold 12 shot glasses, 12 champagne flutes and 4 bottles. 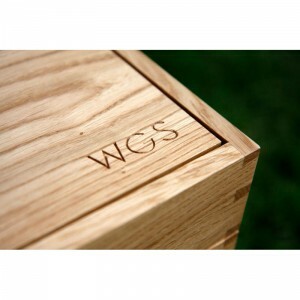 The main box to have dovetailed joints, gradually increasing in size towards bottom, as were the lift out trays. The trays were to have raised pinch handles, and the owner’s initials were hand carved into the lid in a modern typeface.